• Favorite family friendly neighbor spot! Thanks!! • Good as usual. Salsa was a bit bland. Added some delicious cholula. • Awesome food, experience, and atmosphere! Def will be back! • Awesome food ! Right up the street, I will definitely be back. My husband loves this place, I just never came. Big mistake on my part! • Loved the food so much! Unique & tasty. We had a great experience. But if you would like any constructive feedback I would say work on waiting time. We were the only people at the restaurant but our food (mostly sides) took longer than I expected. But since the food was so tasty we didn't have a problem :) We will be returning! • Great food and service. Lily was very attentive and made the experience even better. Really enjoyed, will come back be sure to keep serving great food and have friendly staff to serve it. • Above average food and service. • Friendly service, great food. • Amazing tacos!! Best flavors I've had in a long time!! • Everything was delicious and the lunch combo was quite filling loved it. • The usual. Great service, awesome food. • Delicious and fresh. I will be back. • The fried chicken was so dope!! • The carne asada is delicious! The woman cutout on entering is distasteful and it would be nice if she weren't the first "person" you see. • It's awesome! We eat here all the time! • Great service!!! Waitress was very nice and attentive. • Awesome seafood tacos. Wandered in during a packed trivia night, still got great service. • Awesome taqueria place! Love the tacos! • Great food. Great flavor. • Excellent food and service! • Reed did a great job....he knows the menu welll and is a credit to your brand!! • Awesome food and service. • Chris is the best waiter ever!!! • The food was really good. The service was good. The only issue is there is no one to seat you. When I came in I was unsure if I should seat myself. As I was dining I was someone else experience the same issue, they ended up leaving. • My picky wife raved about the carne Assad tacos she got the whole time we were there. Cool place, cool atmosphere, kid friendly. Carolina was a very nice server. • Our server Chris was great. He was helpful with the menu and was attentive. So glad we found this place. We will definitely return. • Love the fish tacos! • Great lunch and service! • Awesome yummy food!! We will be back!! • Great queso and best quesadilla I've had in a while! • Friendly service and excellent food. The chips and sauce is not the best but every taco we had were the most favorable tacos we've ever had. • The food is amazing, particularly the seafood!!! • Reid was great -- awesome recommendations -- enjoyed everything! • It was very good!! • Chips and salsa was amazing! Food was fresh also. • Great food and service. Margarita was awesome, can't beat $1 tecate! • food is great and our server was very friendly with good service. • Excellent food and service. • Tacos on point! Although I did feel the kids meal was bit over priced for what we got. • Great Juevos Benidicto!!! O'lay! • I love Taqueria Del Mar!!! Bleach was an awesome server and the food was terrific!! The bang bang shrimp tacos and the tuna pike and the ceviche can't be beat!!! • Hangar steak is awesome! • Great food! Love the ceviche!!! • Everything was tasty. Good house frozen. Serving sizes a little smaller than expected compared to other mex places, but yummy and quality. Good find! • Awesome food. I love the buffalo chicken taco and the guacamole is delicious! • Gaby, our server, and the food was great! • Great food as always. • We love coming here! The sauces are great and we love the tacos! • Great food and margaritas! Great spot close to home. • Good service! Gabby was the best! • Great service, great food!! • The food is so good!!! • Yummy tacos! Bang bang shrimp! • Gabi was our server. The food and service was excellent. • Food is great. Always try the daily special and the grilled corn when available! • Awesome service and delicious fish tacos! • Very average service tonight. We felt rushed, were served warm wine & got the wrong margarita (which took forever). Not a great night. • The best tacos in the area!!!! • A little too much grease, but overall good! • Great food, great service! • Gabby was an awesome server. Food was outstanding. Loved the carnitas tacos. • The service was sloooooow, the food was outstanding. While she was very nice...it took forever to get water. Then even longer to get our order taken. We had to wait a long time for the check. The restaurant was full but not packed. There did not seem to be concerted effort to make sure new tables were taken care of. • Great restaurant! Love their guacomole! Service was great! • Too much sauce on the bang bang taco for me. • Wonderful fresh food. Excellent service. Please go give them your money. You'll thank me! • Impressed with service and quality of food!! We tried the guac, burrito carne asada and benedicto huevos. Reid was very helpful even with several other tables and had great suggestions for menu options. We will be coming back with friends! • Awesome food and services! • The calamari was exceptional. • Great fish tacos and chicken tortilla soup! Also the green salsa is to die for!! • The fish tacos and bang bang tacos were amazing! You also have to order the guacamole! • Great braised beef tacos & garlic kale! • Fish tacos great as always. • We will be back and back again ... Delicious!!! • Food was awesome! Blake rocks! • Reid gave outstanding service. Very personable. • Oh wow! This is terrific. 1st time here and for sure returning. The seafood is delish. Loved the citrus creme on the enchiladas. Also very easy for Gluten Free peeps! Yum! Satisfied. • Food was excellent! Cheap Tecate on Sundays and a friendly service staff. • Great, fresh food. Cozy spot. Never had a bad menu item. • This place is awesome! • The shrimp taco is great, the pork shoulder is gross. But I loved everything else! • Fabulous place best restaurant in Norcross Peachtree Corners. Giizzy best waitress ever! Excellent meals prepared by an outstanding chef. Drop in and see the personable owner Andrew. • Great service and excellent food! The tacos were simple yet very flavorful! • We love this place!!!! Awesome margaritas and fish tacos! • Your fish tonight had a strong taste. My seafood quesadilla was fantastic. Service was exceptional. • Laura waited on us. She was wonderful. • Great food! Will come again. • Reid helped me out today. Did a fantastic job. Great recommendations on the philly, fish, and short rib tacos! Margaritas aren't bad either! • Great calamari and tacos! • The Best Tacos EVERRRRR in Peachtree Corners! Do yourSELF a Favor and sink your teeth into the Shrimp Poor Boy & Braised Beef Short Rib Tacos ... Yummmmmmmmmm! • The best fish tacos! • Breakfast very good. Limited selection for breakfast. The best bacon!! • Delicious, interesting tacos. Get filled without breaking the bank. Fish tacos here are great. • Great service. Love the food !! • Always delicious!! The shrimp po-boy taco and pork enchilada with half and half citrus cream sauce and red beef chili sauce made for a great lunch! • The service and food was very good. • The mixed sea food enchilada was delicious with the tangy citrus cream sauce. The pork was a little dry on one end, and the verde salsa tasted off. The Shrimp Po' Boy taco is a taste to behold; I would never have expected a dish so dependent on bread to translate so well into a taco. The real star of the show is the homemade salted caramel ice cream. I'm a little disappointed by the somewhat haphazard decor, but the food makes up for the difference in spades. • Great neighborhood restaurant. Great food at reasonable prices. • The food was fantastic!!! • Great fish tacos - and enchilada special! • This is a great spot. The food was wonderful. The service was quick. The guacamole was yum! They have the option of corn or flour tortillas. I only wish you had another fish for the taco and wheat free beer options. Certainly coming back! Winner! Gluten Free dining is difficult! • More shrimp on my Po Boy taco - I only got 2. It didn't fill the tortilla. Loved the fish tacos. House margarita was good. • Amazing food and service! The citrus cream is wonderful. • Good food and good waiter. • My fiancé and I have eaten here a few times and loved it each time! • Awesome! I highly recommend! Thank you Andrew for such great service. • The tacos were great especially the chicken Philly was really good. Great place!! • Very good tacos. Need more local beer options. • Service is a bit slow, but food is fantastic! • Wonderful food and service!! • Food was excellent! As was service. Will be back. • Very good!! Excellent food!! • The best food and service ever!!! • I came with my family, as we love close by. The food and atmosphere were great as was the service! • Yummmmy!! I will be back!! • Great food and atmosphere for our first time here! • Very good food. Tasted fresh. Great margaritas! Thanks! • Excellent food and great service! • Loved the food and service. • Great seviche and fish and shrimp tacos. • Amazing tacos and great service! Will definitely be back! • Great food and service! • Love this place.. Everything is fresh!! I will be back for sure!! • Great atmosphere and food! Little too heavy on the sauce on the tacos but that's really my only complaint! Great things happening here! • Great as always!! Fresh flavors and great service!! • Very good. Has gotten much better since opening. • The homemade ice cream is AmAzBaLlS!!!! Out of this world!!! • Excellent food. Beef tacos were a bit soggy. Seafood was extremely good. • It was our second time coming here and it was delicious! Next time we will save room for dessert! • Great service!! And the food is awesome! • Awesome great atmosphere and great good highly recommend! • Excellent as always. Thx for being our neighborhood fav!!! • Very cute spot for a lunch date. Food was good and fresh & the staff was very polite as well. • Killer burrito! Great service! • Awesome service and great food. • It was great and yummy!! • This place is a little gem tucked away near the Ingles. Food is fresh.....wonderful experience!!!!!! • Great place! Great tacos! • The best food! We will be back often! Yum! • Great service, homemade guacamole., fish tacos, and corn chowder! We'll be back! • Delicioso. The rice. The beans . The guacamole. The shrimp. Holy sh**skees. This food was amazing. Definitely coming back. • Great food and Booz!!! • Great place great food!! • Great food! We will definitely make this one of our go to places to eat. • Great atmosphere. Good food. Guac was great! • I live nearby and have meant to come in here. Tortilla soup was great and the hangar steak was well worth the visit. Definitely will be back...much better than Laparilla. • Awesome. Came in New Year's Day and our waiter was great! Food was yummy!! • This was delicious! Everything so fresh and well seasoned! Thank you! We will be back! • Fantastic! Great salsa, guacamole and queso. Tacos are a win. • Great guacamole! Fountain drinks would be a huge plus! • Excellent!! The Ahi Poke appetizer was awesome and i had one of the best fish tacos I've had in town. Will definitely come back!! • The salsa trio could use some work. Didn't have much flavor. Other than that, everything was really great!! Love the decor and the service was awesome! • Excellent queso fundido and enchilada lunch special! Love this place! • We love coming here! It's close to home, great atmosphere, and the food is delicious! • So different, but SOOOO GOOD! • Always good a Taqueria del Mar! • Amazing...definitely coming back!!! Home made ice cream was KILLER! • Oh my gosh so freakin good. • Amazing! great service! Awesome food! • Fish tacos and fajitas were first rate! So good! Food was great! Service was excellent! We will be coming back for sure. • Always great food and service at Taqueria del Mar! • Great service! Great food! • Great food! Great service! Great prices! Nice vibe! • INCREDIBLE seafood! AWESOME service! • Probably the best meal I've ever eaten out. It was baamazing! • Enjoyed the food, and our waiter. • Super tasty, both times we've been. • Very good enchiladas and tortilla soup! • The food and drinks were very good. I enjoyed this place. • Food and service was excellent! I had the two taco lunch plate with Shrimp PO' Boy and Fish Taco with a side of Poblano Corn Chowder. My co-worker had the two taco lunch with the Philly & the Classic Chicken taco with side of macaroni & queso! • Amazing tacos and guacamole!! Great service too!! • Good stuff! I applaud you for keeping reasonable prices. • Wish you had free chips and salsa! Awesome seafood fajitas. • Great atmosphere and yummy fish tacos! • Great drinks! Great food! Lights are a bit bright and the next table is loud but you can only control one of those things. Glad to find out you're here! • Nery is the BEST!!!! Great food, great service! • Waitress was great! Great service great food! • Great food and fast. Very friendly. • Loved it! Had fried chicken tacos WOW and pablano corn chowder that was perfect on a cold rainy night. Yummy! • It's a fantastic unconventional Mexican restaurant. Delicious fresh food. Loved the skinny margarita. Hangar steak awesome. Two thumbs up for the ambiance!! • Great service! Much improved since last time. Glad they saw problems and corrected. • Diana is the best waitress!! The food is vey good and love the mojito !!!!! • Loved that everything was homemade and unique! Was a good experience evn when we came in at closing time! Nxt time we will get the hangar steak and kale. Braised short rib taco was good. • The Tacos were amazing and not the same ol same ol. My favorite was braised pork shoulder taco. My friends and I will definitely be back. • Great service. Love the cheese dip and guac. Tacos were okay. • Amazing food and drinks! • Juan was an amazing server. Everything he recommended was delicious. Especially tasty was the grilled chicken and kale. We will definitely be back. • Loved the fish taco! Everything was delicious. • Everything is great! There could be a little better deal on the alcoholic drinks though, there a little steep. Great food and food prices!!! • Amazing food. Try the ice cream! • We only saw the waitress twice and had to ask for the check. • Awesome chicken enchilada w/citrus cream is a GOTTA HAVE!! Aak for Letty as your waitress. • The BBQ sauce didn't seem appealing on the Shrimp and Grits or Taco. It tasted too much like Lays BBQ potato chips. I didn't think that was a good combo for shrimp and grits. The fish taco and braised short rib taco were excellent. So was the Guacamole. • Food was great. Especially the poblano corn chowder. Didn't like the line running out the door. • We loved it! Will be back for sure. • The corn chowder is to DIE for! • Food was great! Especially the fish tacos!!! They were amazing! The pork shoulder taco was just so-so however. The margarita was top notch too! Our server, Netty, was awesome!!! She was great w/my daughter & even brought a sample of their corn chowder (which was very good too)! All in all, a neighborhood gem & very very good!!! • Outstanding!! Food was great, service was great! This relationship will last a long time. • The pablano corn chowder and the braised short rib tacos are great! • Excellent food and margarita! Would recommend changing table and seating layout to create more intimate dining atmosphere. • Wonderful food, friendly service. Simple, diner decor is part of the charm. Very affordable. Will b back soon! • Had the fish tacos...awesome! And service was so wonderful! • Had a great experience. Food was delicious and fresh. Love the chowder! Drinks were appropriately strong and the space was clean and comfortable. • Great entrees--perfectly grilled...hubby will try the garlic cole slaw next time. He wasn't as impressed with the Mac n cheese. I liked the black bean's flavor. I'll be back! • Loved the shrimp and grits. I tried them because I make a mean shrimp and grits myself but yours were different and great. Our other entree was the pork shoulder taco which my husband thought was very tasty and quite filling. The guacamole was fresh and very good. The only thing which I feel has room for improvement is the roasted tomato salsa which was not chunky or spicy enough. We'll be back! • Delicious food at very reasonable prices! • Great food! We had fish tacos and fajita trio. Some of the best we've ever had. We will definitely be back! • Slow service but great food! • 4.50 margaritas rule!! Also, the food was good, fast and affordable. Service was awesome! • Delicious and great service! • Loved our time with you! • Margaritas have gone downhill. Too sugary and taste like they aren't homemade. Food is great...tuna poke is our favorite! • Food was very good! • The food was GREAT! I've never knew about your restaurant. Shrimp po'boy and pork shoulder was soooooo good! • We frequent this spot and love it! The chicken taco is my fav! • Great service, tasty & right-sized portions, good value! We will be back! • The food was fantastic. I will definitely be back. The guacamole could have used a touch more salt. The tacos were pretty spectacular. I'll be a regular now because my office is right down the road from you. • Fish tacos are amazing!!! • Very good!! Good service!! • You never disappoint! Love the fresh ingredients. • Great job! We love it ! • Always a great experience! So glad you're here and we are glad to be able to support a neighbor! • Great food. Great service. Quality. • Loved the corn chowder. • Great food and atmosphere. Bigger than it looks. Worth the visit. We'll definitely be back. • Very good lunch at Taqueria del mar! Recommend the shrimp tacos and corn chowder! • Great service. Great food! • Awesome food, fresh everyday. Only problem with this place, the word is out but the owner is happy!!!! • The tuna poke and pork were amazing! Also love braised kale..got my superfood for the day. • Food was great ! Ahi Poke app on point , and the corn chowder was yummy. • Best fish taco ever! And WOW - queso fundido! • Fantastic food and staff! • Fish tacos were great! Stick with those and the Mexican cokes and you'll be ever so delighted! • Great food, great staff & nice atmosphere! • Awesome tuna poke... Great ginger taste! • The food here was great and the people here were extremely nice. • Excellent service. Excellent food. Great atmosphere. Well done! • Short Rib and fish tacos are delicious! The black beans are fantastic! A great little spot to eat. • Small cozy neighborhood taqueria. Very good fish taco--excellent seasoning. Friendly helpful service. Definitely worth a visit!! Will be back. • 1st time in. Excellent! Will be back! • Very good food! Serving size was just right, not too much, not too little. Loud dining room. • Great quality food and awesome service. Only recommendation is to have more flavorful salsas. We will be back! • Love the Taco's and queso fundido! • Great place with great food and cool atmosphere. Very friendly service. I can tell you really care about your food and my experience. And I'm glad I trusted my server and went with the chicken enchilada with citrus cream sauce on it! Thanks! • Best Brunch in Atlanta! Thanks. • Great spot! Just discovered last week, and have been here multiple times already. • Food and vibe inside was great!! • Amazing find in the Peachtree Corners area. The food is fresh and tasty, the atmosphere is reminiscent of a relaxing Mexican beach resort and the owner, Andrew, is the perfect host. It feels as if you're at a "beach B&B". A true gem for lunch, brunch or an anytime meal. You're going to love it! • Love the menu! Fresh, creative and excellent service!! • Blackened Tilapia is a must have. Great Service too!!! • This was my first visit here, everything was excellent. I will be coming back! The food was great! The shrimp quesadillas were great as well as the fish tacos! • Great place! I am bringing my coworkers for happy hour! • Excellent across the board! Our server Neri (sp?) was fabulous! • Andrew is great and food is spectacular!! • Great food great service! • This place is a find! Get here! • Wonderfully fresh food and yummy combinations / toppings on the tacos. • Awesome!!! Really enjoyed it!! • Always great food, but we did miss the ice cream. • Great food. Everything fresh and yummy. • Friendly service and great food !! • Great service and amazing food!! • The fish taco was great. The staff is very friendly. Highly recommended. • Great food , friendly service. Recommend if you are in the area give it a try. • The food is delicious and the staff is friendly! This is a new neighborhood favorite! • Fantastic food. Too bad we're surrounded by yuppies. • yum! great fish tacos!! • Always a great meal. Fish tacos and tuna tacos are my favorite, kids love beef tacos and queso Mac and cheese. • Food exceeded my expectations! Wonderful flavor, quality, and portion sizes! • Amazing food and service!!! Definitely will recommend to anyone! • Food and margaritas were excellent! • Some of the best guacamole outside Texas. Tacos are quite tasty also. 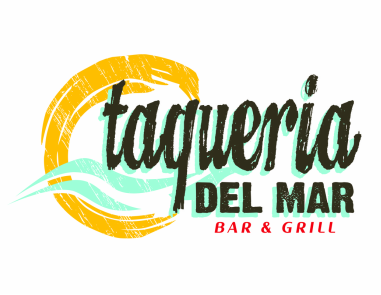 • Great food, great service, and fresh margaritas! Delicious! • Very impressive. I will certainly be back. Thanks for coming to my hood. • Da bomb diggity. Best Mexican in the ATL. • They are still new and could use a little more work. I enjoyed my most meal, but my bf only enjoyed 1/3 of his. • Very clean and nice atmosphere. Food was very good. • Short rib was a little salty, but everything else that we ordered was great. Will be back soon and telling friends. Reminds us of Taqueria del sol. • Place is fantastic! I highly recommend! • Great food and very hospitable service. • Awesome food and awesome guys! • BBQ'D Shrimp & Grits are out of this world delicious! • Place is awesome, I got fish tacos and the fresh made margarita and it was so good!